The Nokia 6.1 arrives within the US this weekend, after launching in China back in January at free networking events chicago. The 6.1 is an update to last year’s Nokia 6, providing small but stable upgrades in some of techniques. Perhaps most considerably, this yr’s version runs Android One, this means that it has stock Android and warranted updates for two years. Nokia 6.1 is a budget friendly, massive-display screen phone that measures 5.9 x 3 x 0.3 inches. As we are able to see from the pics, the Android cellphone indicates off a graceful and slender appearance design, and in comparison with Nokia 6, the cellphone features a smooth returned panel and the glossy steel accents enhances to the fashionable layout. Nokia 6.1 is powered by Qualcomm Snapdragon 630 2.2GHz octa-core processor and comes equipped with 4GB RAM and 64GB ROM with support of up to 128GB extra storage capacity, so it’s powerful enough to deal with various apps, mobile games and multimedia playback. Meanwhile, it has a 5.5-inch 1080p IPS LCD display with 16:9 aspect ratio. Its main camera features 16MP sensor, f/2.0 aperture, phase detection autofocus, Carl Zeiss optics and dual-LED dual-tone flash, and the 8MP front-facing camera with f/2.0 aperture and 84-degree FOV has been ready for self-portraits and video. 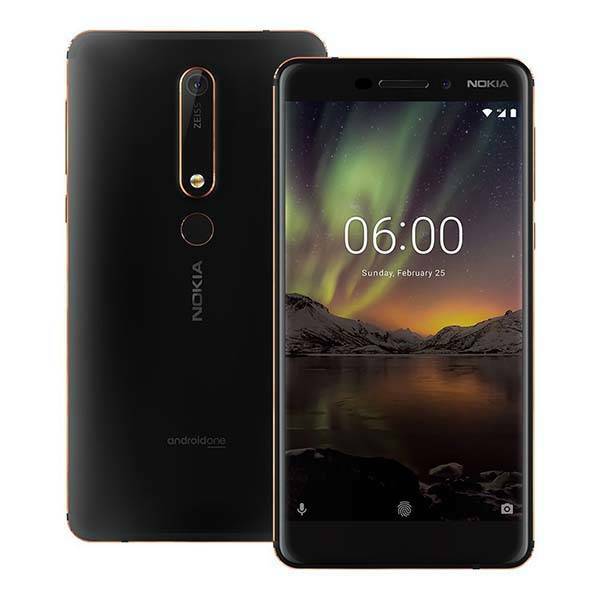 Moreover, Nokia 6.1 runs Android One OS, and other features also include dual nano-SIM, fingerprint scanner, and 3000mAh rechargeable battery. Nokia 6.1 Android smartphone is priced at $309 USD and will initially be available through Amazon and Best Buy. If you are really interested in this new smartphone and want to grab it, then jump to Amazon for its more details.